Isn’t crazy how everything Thanksgiving and Autumn is on clearance now and Thanksgiving hasn’t even passed yet? This is awesome for quick crafters like myself! You can find deep discounts on last minute craft supplies. 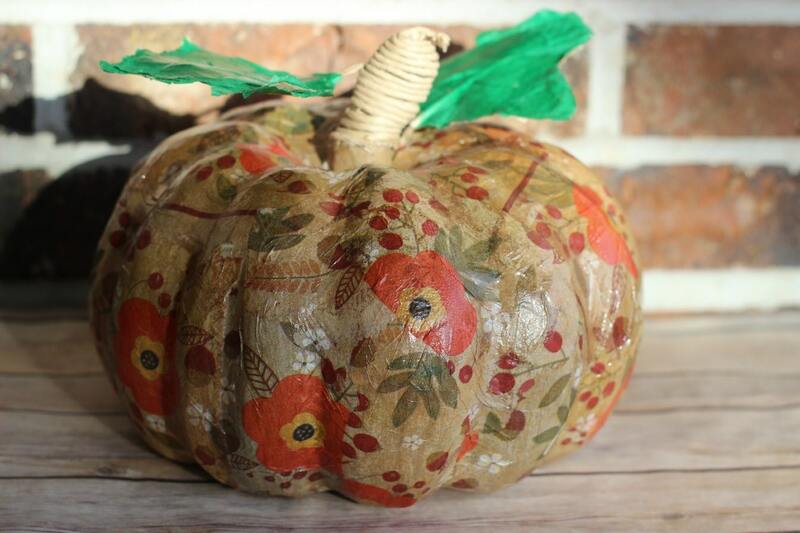 I spotted a paper mache pumpkin for 70% off and decided to make it mine. 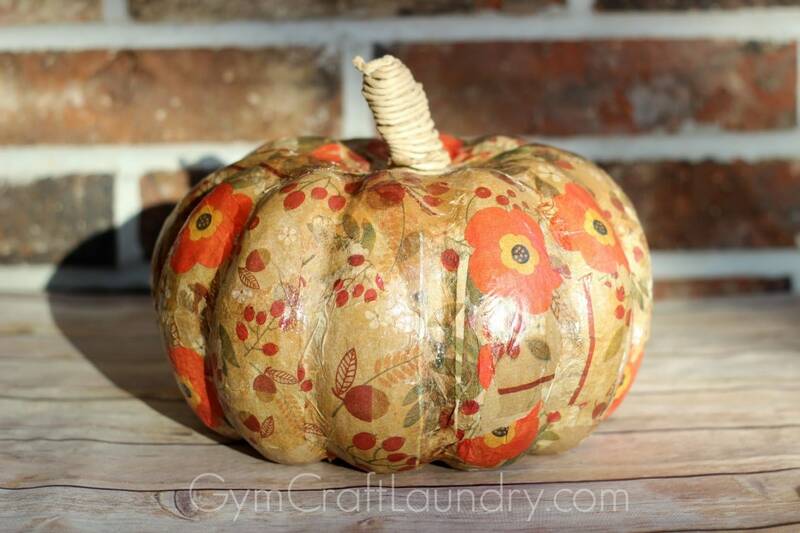 It is perfect for my new decoupage craft idea. 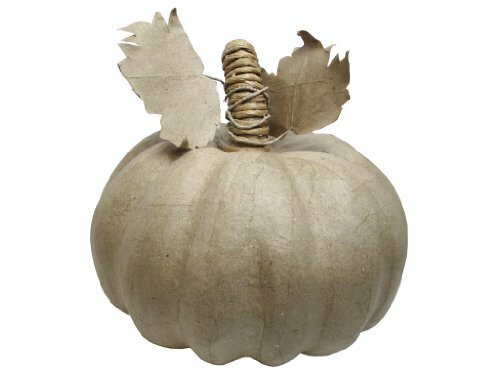 I included some affiliate links for easy shopping! 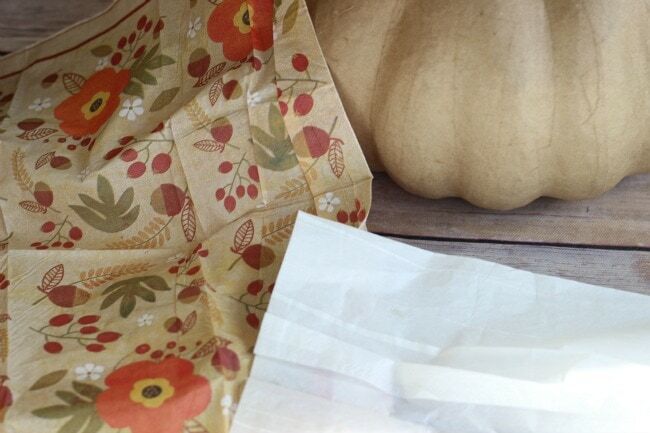 In that same shopping trip I found fancy Fall napkins for super cheap too! I am stocking up my photography prop bins for next year so went a little crazy at the craft store. Since everything was deeply discounted, I barely spent anything! I love it when I get cool stuff for cheap. Because I’m cheap. First separate the white second ply if the napkins you chose are two ply. Next you want to rip the napkin into pieces. I tried larger pieces but found that approximately two inch pieces were easiest to work with. 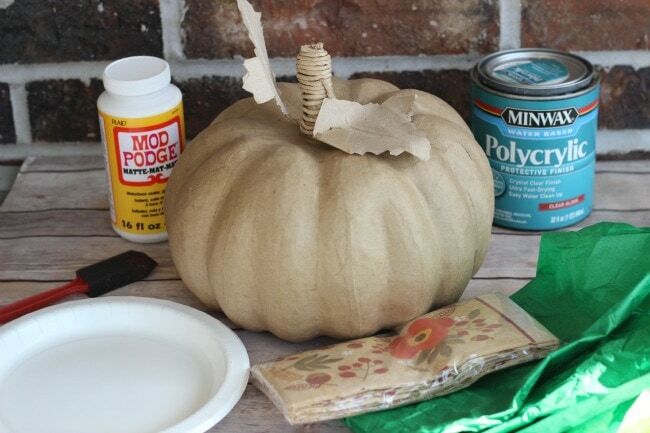 Use brush to lightly coat a section of the paper mache pumpkin with modge podge. 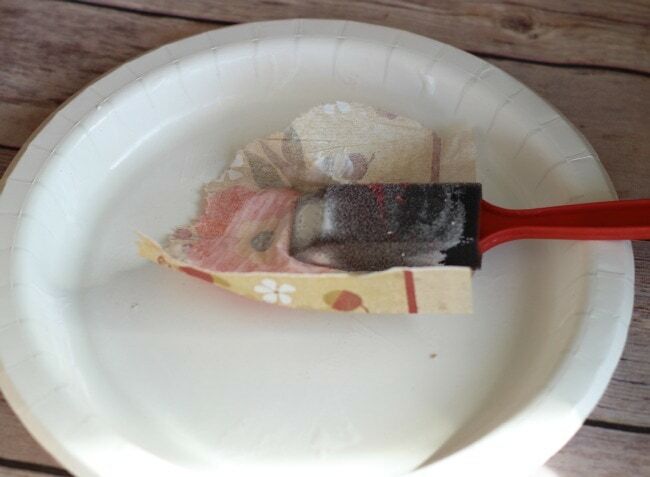 Also coat the back of the napkin piece with the decoupage medium. The thinner the paper, the thinner the coat of glue should be. Completely cover the paper mache form. Once the modge podge has dried, apply a coat of the polycrylic clear varnish if you choose. I prefer the finished look that I get from using polycrylic. I also covered the leaves with green tissue paper. It came out like this. I ended up cutting off the leaves because I felt that the brightness of the green did not complement the look I was going for! I love it for it’s simple charm! 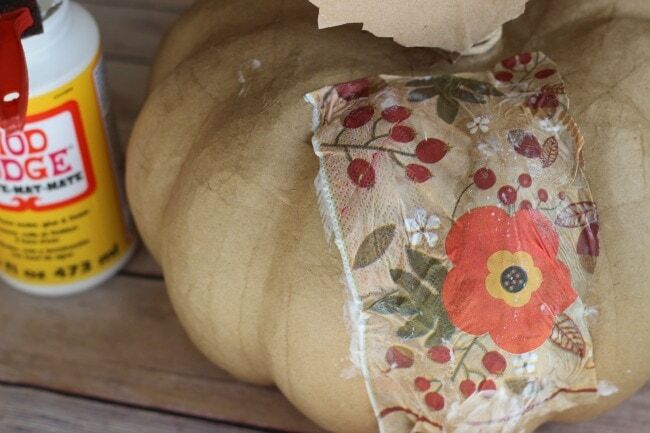 Have you thought to use decoupage in your home decor? 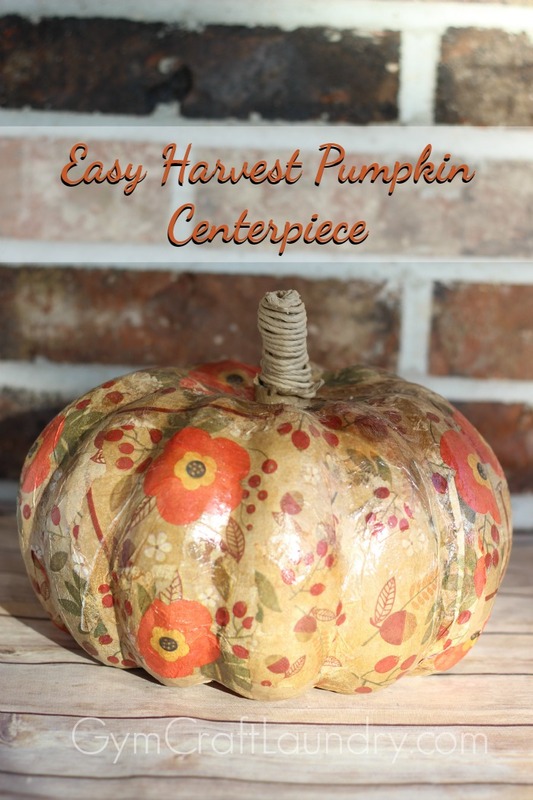 I love finding crafts that actually look like I could do them! (And it’s not called being “cheap” it’s being “thrifty” lol!) Thanks for sharing at the Thoughtful Spot! I love this!!!! And even though this was a long time ago… I am trying to find a printed napkin like this because I love that print!!! !